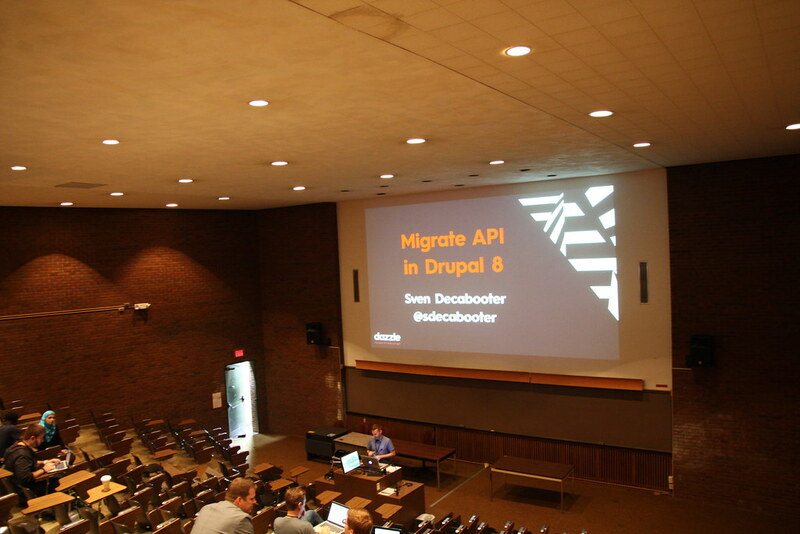 My presentation lays out how the Migrate module became a part of Drupal 8 core, provides information on the process of upgrading your Drupal 6 or Drupal 7 site to Drupal 8 or migrating from another data source into Drupal 8, and information about how to create Migration configuration files, and the process of running migrations. Thanks to all the people that attended my session and gave me positive feedback. Apart from my own humble attempt at a presentation, I saw some really interesting sessions of great quality during this one day Drupalcamp. Even though still pretty small, I really enjoyed getting to know the enthusiastic local Saint Louis community, and shared some great beers afterwards at the happy hour at Ferguson Brewing Company. I really enjoyed the weekend in Saint Louis! Special thanks to Dazzle for sponsoring my flight from Chicago to Saint Louis!